Day#7 of 12 Starts NOW! My Colors Cardstock prize package is AWESOME!!! 90 sheets of Premium quality cardstock. The prize includes 90 12×12 assorted colors. 60 sheets from the Canvas Collection of 80 lb. cardstock ideal for die cutting, scrapbooking and other art projects plus 30 sheets from our Heavyweight Collection, the perfect cardstock for card making and quilling and many more creative projects. 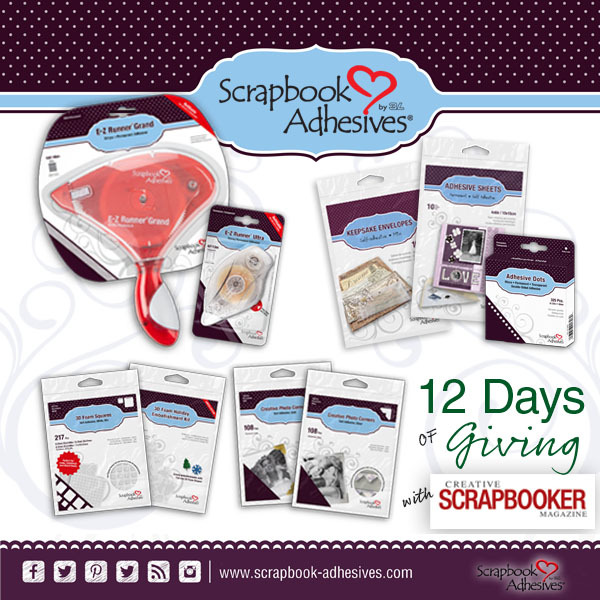 Our second prize is from Scrapbook Adhesives by 3L Stick with 3L this season! You’ll get a complete assortment of everyone’s favorite craft adhesives! The E-Z Runner® Grand holds 150ft/45m of our Permanent Strips, it’s light-weight and easy to refill. The E-Z Runner® Ultra Refillable holds fast and strong, and is refillable with any of the E-Z Refills. Adhesive Dots Micro are perfect for embellishments and Creative Photo Corners hold more than just photos, you can line them up to create borders and designs. 3D Foam Squares add dimension, and the 3D Foam Holiday Embellishment Kit features 5 colors of easy to use craft foil along with 4 sets of holiday shapes. Enjoy the ease and convenience of adhesives that are Designed to Make Your Creativity Last®. The fourth prize is sponsored by Scrapbooking Fanatics Scrapbooking Fanatics will be giving one luck winner a complete set of Chameleon Color Tone Pencils! This is such a wonderful giveaway! Thanks! I’ve taken on using the Chameleon markers and love the blend ability and ease of use. I didn’t know they had pencils too! LOVE LOVE LOVE all the giveaways so far! Thank you CSM! You folk are amazing!! Love me some card stock, crayons and scrapbook adhesives!! When I get up I can’t wait to see what surprises are in my inbox with your 12 Days of Giving! Another set of amazing prizes. Thank you so much! Thanks so much for the giveaways!!! Wow! What an assortment of amazing products! Thanks so much for the chance! Thanks CSM and all the great sponsors! We are getting closer…thanks for the fun! Every prize would be a blessing to win. Thank you for giving so many chances. Another day of great sponsors. Day 7 and it’s packed with great sponsors. Thank you to them all! Merry Christmas. Such awesome prizes. Thanks again for the chance to win!! And again, the sponsors have outdone themselves! Thanks! Another day, another great rounds of prizes. So nice to visit each of their sites and peek at what they have to offer. Day 7 has great prizes! What a wonderful prize giveaway! Thank you for the chance to win. Great prizes once again, this contest is always such a great introduction to new companies and products! I subscribe to CSM and look forward to finding it in my mailbox every season. Thank you! Super prize of essential scrapbooking supplies for Day 7! Hope i win!! Love to win! Sweet prizes! Day 7 and the fun just keeps going on and on and on……. Merry Christmas to everyone at Creative Scrapbooking Magazine and thanks for so many chances to win from great sponsors! Another tantalizing day of prizes! Thank you CSM for this wonderful Christmas surprise everyday! Wow, like the prizes especially the adhesive it’s the top of my Santa list……..
Wow what could b better? A chance to win beautiful colours of cardstock, the best adhesives on the market, coloured pencils and Emerald Creek stamps. Something for everyone. Thanks to team CSM and the sponsors for these marvellous giveaways. Merry Christmas to all of you. Another day of super giveaways, thanks ever so much for doing this. Paper! Adhesives! Stamps! Pencils! Oh My! Can you believe Christmas is almost here? Wow! Everything you need to start papercrafting! This is an awesome collection of prizes. Thankyou CSM for this great contest and thank you to your vendors who support it! These are a few of my favorite things!!! Sing along! What a wonderful day filled with goodies! Left them some love! Thank you for the opportunity! Everyday such wonderful prizes for the 12 days of Giving. Thanks for all your work putting the prizes together. They have all been great so far!! How do you do it… another great day of giveaways. Thanks CSM and all the great sponsors. Love me some EZ Runner adhesive. Thank you for the opportunity to try new product. Wow another great list of prizes. Merry Christmas. Some great essentials. and some extras too Thanks for the chance to win! Whoot! Whoot! Whoot! … another day of great prizes. 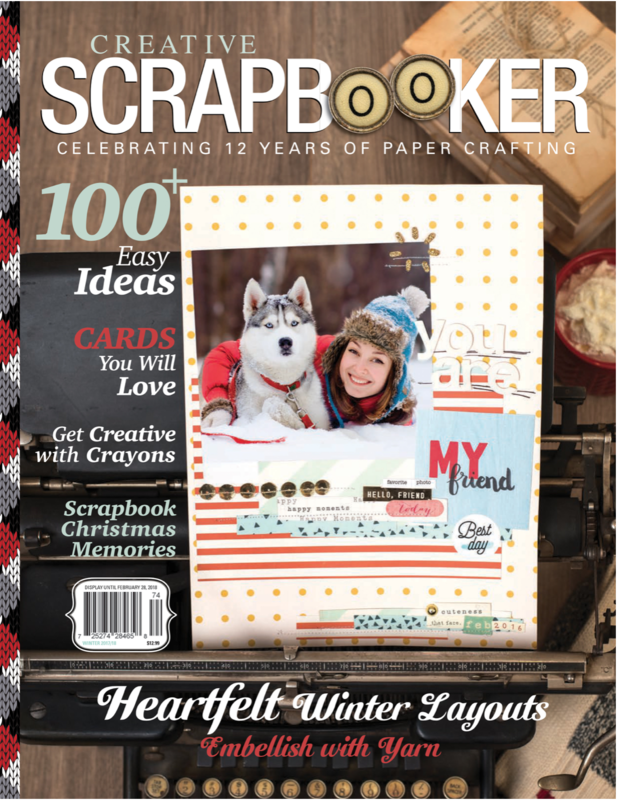 Thanks Creative Scrapbooker Magazine for hosting this great contest, and thanks to your sponsors. Thank you for the opportunity to win such amazing prizes! Great prizes! Thank you CSM and sponsors. Merry Christmas! Thank you for this give away! I have discovered such wonderful crafting supplies! Hey this is just great! Great prizes. I wish all luck to win something..
Eek, I love these prizes! Merry Chritmas to all the sponsors! And CSM of course! More great prizes today! You have such great sponsors CSM ! Thanks for the opportunity to win! Great fun visiting the sponsors and getting replies! happy holidays and keep,on scrapping! Merry Christmas fellow crafters !! And thanks Creative Scrapbooker for all the great prizes. Another amazing day of prizes! Wow! 3L rocks! They have awesome products! I am not familiar with the other companies, but look forward to see what they offer! Yet another great lineup! I need to be off work this week to play with all this excitement! Wonderful prize packages. Thanks to your sponsors. Oh my goodness. Another day of wonderful prizes. Thanks so much for the chance to win. Thank you for another amazing day of prize opportunities! All the companies that have added to the prizes daily are AWESOME. I cant believe some of the products I see here. I have added so many of these compaines to my check out list, because I havent found any of their products here in Michigan. Thanks for more great prizes and sponsors. Happy Holidays to everyone and good luck. There are going to be many happy crafters after this giveaway. Love Creative Scrapbooker hops and showcase blog posts. I discover new manufactures and interesting product displays. Appreciated. Paper, stamps, adhesive and pencils. I am ready!!!! I would like to try all of the amazing products offered today,. I couldn’t do what I love to do without these incredible products . Wow!!! Thanks for this amazing chance to win all these wonderful prizes!!! Another informative day! Excited about the new Seth Apter EP’s from Emerald Creek too! What great sponsors you have and how generous they have been in their giving! Wow! One can never have enough card stock and adhesives plus the other prizes in todays gift pack. Thank you, thank you for the opportunity. I can’t even choose a favorite day! Thank you, thank you! Great prizes once again!! Pick me!! Another batch of great prizes. Thanks for sponsoring. Those are amazing prizes!!!! I love every single one! The paper would come in very handy! The manger scene is a very cool stamp. It would be fun to color. Even if I don’t win, it is amazing to see all the different products available! I love all the prizes you have assembled for us. What a great opportunity to win something special.. Thanks so much. Oh .- I also love your magazine. Thanks again for a great day of giveaways. I look forward to checking out the new baked texture series. The only one I knew about today was Scrapbook Adhesives. Such a great giveaway! Thank you!! The sponsors are amazing! Merry Christmas and Happy 12 days of Christmas! The countdown is on! Awesome prizes again! Thank you so much for hosting! I hope you are all having a Merry Christmas! Done, and again ty for such a great contest. Those are all lovely prizes that would look really good and be put to good use in my craft room….aka the basement! Thanks so much for another amazing day! Great prizes! I hope everyone has an amazing holiday season! Those Cameleon pencils look awesome. Thanks for the chance! What beautiful prizes, especially love Emerald Creek! What a great collection of gifts. Each day so much we all wish we had . Wonderful giveaways from all your sponsors. My favourite item from the prize pack today is the wildlife stamp from Emerald Creek. Merry Christmas C S. And thank you for the chance to win these awesome prizes. Thank you for these fantastic prizes! I can’t get over the fantastic prize pkg’s for your 12 Days of Giving! You guys are fantastic as are all your sponsors. This would be wonderful to have. I am always scrapping a page for my 4 Grandchildren. what a fantastic giveaway! If this is open worldwide, I’m in! 🙂 Merry Christmas everyone! Fabulous prizes today! Thanks to all the generous companies! haven’t seen the pencils before – would love to try them. 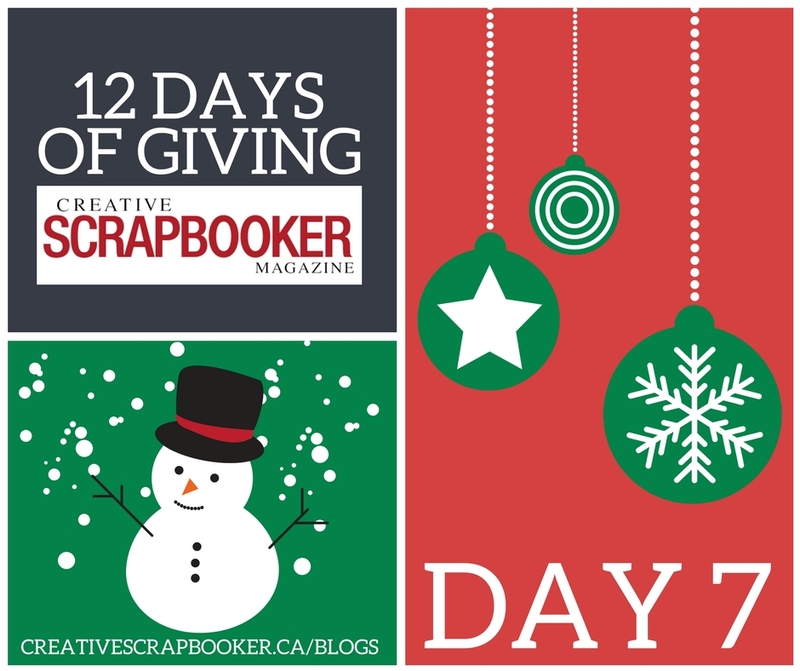 Day 7 of the 12 days of give aways of amazing prizes!! Thanks so much for the opportunity to win! I agree the “My Colors Cardstock” prize package is AWESOME!!! I’ll Stick with 3L this season!! Would love to win. Wishing all of you the Happiest Christmas!! You can never have to much paper or adhesives, thank you! I’m running out of adjectives for this giveaway, it’s all so good! Would love to win all those adhesives. Have a wonderful Christmas and a very happy New Year everyone! Drooling over the new Seth Apter embossing powders from Emerald Creek. They look amazing and Seth is just the nicest person so I hope everyone buys loads of those once they are available. (Disclaimer: I have absolutely no affiliation with either Seth or Emerald Creek). Thanks to all sponsors for this ‘event. Done for another day! Oh my the wonderful goodies. Such generous sponsors. So many great products and ideas!! Thank you all for a chance to win! Another day of awesome prizes. Thanks for the chance to win. *gasp* Today’s prize assortment is incredible! The combination of products makes my fingers itch to create something! Thanks for another change to win! Amazing prizes! This is the first time I have seen Chameleon Color Tones Pencils, they look awesome! So awesome! The two prizes that caught my eye are the ones with COLOR – My Colors Cardstock look wonderful, and so do the Chameleon pencils. Thanks to all your wonderful sponsors!! Happy Holidays to all! I just Adore Emerald Creek and so happy to see they are part of your giveaway!! Thank you for this wonderful giveaway. And thanks for the chance. Thanks for the chance to win these sweet prizes. Wow! What an amazing day today! I’m such a fan of Emerald Creek Craft Supplies! Happy Holidays! And thanks so much for this fun 12 days of Christmas!! What an awesome prize package!! Would love to win any of these prizs. Chameleon pencils are you kidding me?? Awesome! Amazing prizes! Thanks for the chance to win. Amazing prizes again today!! How can you keep finding so many cool things!?! Thanks for the chance to win!! Day 7 already! I can use all of the products in today’s giveaway! All I can say is wow ! The most amazing prizes keep coming. Another great prize giveaway. Thanks for the opportunity to win. These sponsors are great. What fun to check who you will feature each day! Thank you love scrapbook adhesive. So many pretty things up for grabs! Thanks! Another fun day of great sponsors and prizes….Thanks to all for putting this together. Love MME! And the colors…oh my! Amazing Prizes! Your sponsors are amazing! Creative Scrapbooker Magazine is awesome! Thank you for the chance to win some crafty goodness! I love Scrapbook Adhesives by 3L! Thank you for the chaces to win! Thank you and Merry Christmas CSM and all the sponsors! Thanks again for the great 12 days! Thanks for the fabulous work you do to get this wonderful contest going! Love seeing all the new companies and products. Thanks for more amazing ideas and prize opportunities! Exciting giveaway! I would love to be a prize recipient of ant of the sweet eyecandy. Thanks for the chance to win. I so want to win !!! Ready or not Christmas will be here in a week !!!! What wonderful prizes! The cardstock looks so vibrant and all that adhesive looks awesome! Oh wow what a great bunch of prizes today can’t wait to see if I win anything!!! #7 is my lucky number so hopefully today is my lucky day!! Love Scrapbook Adhesives products!! Another day of great prizes. Thank you. Thanks for all the great prize opportunities! More amazing prizes to try for! Great contest!! Paper and adhesive! It is a crafter’s dream. Those pencils look fun too! Thank you to CSM and the sponsors for the awesome prizes and the chance to win! Can’t go wrong with this!!! Wooooo hooooo thanks guys!!! More great prizes and sponsors! Thank you. Hello, I love the prizes!!!! So much fun and thank you!!! Love the prizes – thanks!! Wow, just another fabulous day of giving, Just about all you need, paper, adhesive, Emerald Creek, and colored pencils, just wow. Thank you for such a lovely giveaway and to all your sponsors! Thanks again for the wonderful prizes! Wow what a great prize pack! Would be thrilled to win of course! Thanks creative scrapbooker! Thanks for all the lovely prizes so far!! Great sponsors and prizes! Thank you for the generous opportunity! Wow. Some of these prizes are too good to be true. 🤗 Such a huge thanks to all the sponsors so far. I’d love to win the Chameleon set! So in love , so in love. These prizes are amazing. Another awesome day of prizes! Thanks for the chance! Day 7 is a doozy!!!! Thanks for the chance, great contest! Yes!I just love that we have another day to try..Thanks so much lol! I so want to win pleaaase!! Thanks for this amazing giveaway. Merry Christmas CSM. Wow the awesome give aways just keep coming every day!! Thanks for hosting this and Merry Christmas to everyone at CSM and to your fabulous Sponsors! Dear Santa, let it be me! Another day of amazing prizes from such great sponsors. Thank you so much for a chance to win. Can never have enough paper! Some favs and a newbie today… thanks! Visiting every one’s pages has been so inspirational!!! Some people are going to have an extra special Christmas when they get one of these wonderful prizes. Would use all of it!! Good luck to all who participate in the 12 Days of Giving! Amazing prizes Jackie. Thanks for a fun 12 Days of Christmas give-aways! I love how many of your sponsors are Canadian!! Thank you to them and you for this great prize package. Wow! Super! Any day and another day of super Sponsors! Thank you for hosting the 12 days ! Thank you for such amazing prizes.. I just wish i am a winner!! Thanks for putting these giveaways together. It gives me another reason to check you out on a daily basis – when life keeps us busy with ‘other’ things. Happy Holidays! This is so awesome! I’m finding all kinds of new pages to follow and products to drool over! And… I’ve seen several CANADIAN companies! That makes me very happy 🙂 Thanks CSM for doing this set of giveaways. So excited about all these amazing prizes!!!!! Love all these prizes! I could always use some more cardstock! And I would just love me some Emerald Creek! Thank you CSM! I can’t wait to get scrapping with these fantastic items. Today’s giveaway has all the supplies needed to make a great card! Every day, the prizes keep blowing my mind! Liked them all and love the prizes being offered! Thanks for another fabulous grouping of companies and prizes! Thank you sponsors for being a part of CSM giveaways. Wow!! Any crafter would be set after winning these goodies. Everyone needs card stock and adhesives, and those stamps and pencils are just fabulous! Quite the prize packages today!! Would be awesome to win for sure!It would be a combination birthday(19th)/Christmas surprise!! Thanks for the chance CSM!! Amazing publication with great people. Thanks for all the prize offerings. So many beautiful prizes! Thanks for the chance to win! Another day of fantastic gifts! Jackie, question for you…will you have a final winners page right here, maybe under the last day 12 days??? How would i know if i won? When are the winners announced? Emerald Creek another new one for me.And I love adhesives.You can’t get by without daily adhesive.And new pencils!Love them too! This set of prizes has my name on it. Thanks for the chance to win! Day 7 and the prizes keep getting better & better each day! Good Luck to everyone!!! So excited for this holiday season! Thank you! Merry Christmas to us!!!! Thanks CSM! Merry Christmas and thank you for the chance to win! Lots of great basics here for every kind of crafter! Another amazing day of prizes! Another day of fabulous prizes!!!! Happy Christmas season CSM!! Thank you for the chance to win such fabulous prizes! Oh, I absolutely love all that colourful cardstock! Thank you so much for another batch of fabulous prizes!! Thanks for this opportunity – the prizes look wonderful! Yay! I’m a huge fan of 3L Scrapbooking Adhesives! I love that there’s an option out there that isn’t made in China! I would love to win these fabulous prizes! Day 7 prizes are awesome!!! My favourite prize package so far. Would love to win this!! I almost missed this one…happy I am backtracking through the days! Fantastic prizes! Liked all facebook pages, Scrapbook Fanatics is new to me! Merry Christmas and thanks for the chance to win some great prizes. The Pencil crayons look awesome!!!! Great prizes that everyone can enjoy using! Thanks for thechance to win! Wow. These prizes are super Cool! Thanks for this contest! Thanks for the blog candy! A person can never have too much paper. Thanks CSM! What more could you ask for, paper, glue, Stamos and pencils! It’s amazing! Love CSM, would love to be a winner. Happy Holidays! Loving all these awesome prizes. Thanks CSM for the 12 days of giving. Another great collection of prizes! There will be some very happy winners! Thank you for the opportunity to win! Another day another amazing group of prizes. I’d tell more family stories but i’m worried you’ll all think I’m crazy. Being the youngest of 6 kids leads to some really crazy situations. Fantastic prizes!! Thank you so much for sharing! Thanks for the chance to win so many great prizes. Great ideas in your magazine to use with different products too. So much inspiration for scrapbookers and card makers in each edition. Have a wonderful Holiday Season with your family and friends. So many new products to discover. Thank you CSM! I really hope to be a winner in this great giveaway! I”m discovering so many new things with this opportunity! Awesome prize! Thanks for the chance. I love these staples like cardstock and adhesive – gotta love the versatile basics!! such a treat to win!! Wonderful prizes today! 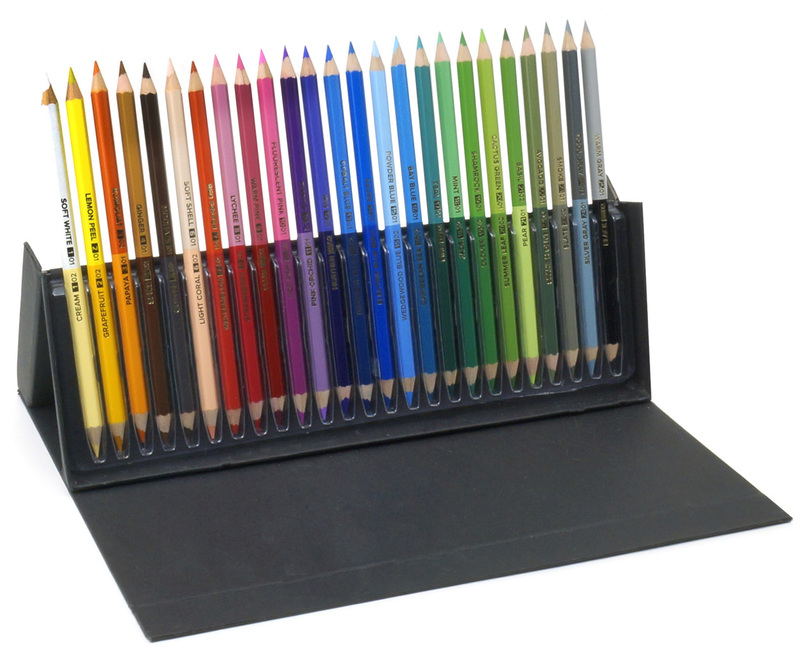 I love the set of blending pencils…such beautiful colors! Thanks for the chance to win! Thanks for more great prize packages! The sponsors are all so generous! Thanks! Paper, adhesives, giltter and coloring…..soooooo excited!!! Another day of wonderful giveaways! Great essentials in this day’s prizes. love the pretty colours of the card stock, the great adhesives, and the amazing emerald creek prizes. what a great day! Ooh, lah, lah, what a great group of prizes! EVeryone of them would be on my wishlist! Thanks so much for sponsoring these!! Thanks for the chance to win these AMAZING products!!! Fingers are crossed that I win some of this crafty goodness! Lovely prize pack!!! Excited to check out Emerald Creek, their offerings look lovely! Thank you for the chance to win! Every day is a bounty of prizes – thx! These products all look fabulous. Thank you for the opportunity to win. Fabulous products and generous giveaways. Thanks for the chance to win. Thank you for more amazing sponsors and giveaways! Hope you’re having a wonderful holiday season! Always need those basics! Card stopcock and sticky stuff! The pencils look amazing as do the stamps! Thanks! Cardstock, adhesive, stamps and pencils, all my favourite things!!!! Thanks to the generous sponsors and CSM today! Wonderful prizes! So many more wonderful prizes!!! It is amazing how many new and different scrapbooking suppliers I am hearing about. It is hard keeping up with all the new and exciting products without a local scrapbooking store so this is all so very exciting! Thank you for the chance to win some wonderful new products!!! Cool prizes! Clearly I’m behind so I need to get to reading each post and start commenting/liking and following!! The giving just keeps on coming. Emerald Creek was my new find today and here they are in Alberta. I have quite the list of places to go shopping at! I love to support local stores but made in Alberta or Canada is even better! Thanks so much again for today’s adventure across the web. Another great day of prizes! Thanks for the chance to win! Yowsa – all the goodies a scrapbooker needs to keep on making beautiful pages! Good luck to all! I think this is my favourite day so far!! Love yardstick and the adhesives!! Always so many ideas come to mind when I’m scrapbooking! Would love to win this prize. Thanks for this awesome 12 days of giving giveaways. Merry Christmas! This is such a wonderful prize giveaway. Would love to win. Thanks. Thanks again for this contest! Another great day of giveaway – thanks CSM!! Another day, another grouping of fantastic prizes! Love, love, love! Thanks CSM. Love all the great giveaways. What wonderful prizes from your fabulous sponsors. Many thanks to them and to you for wonderful magazine. Merry Christmas to one and all. The card stock bundle looks amazing. Ok.. I need some crafting time!!! Who knew all this product was out there??!?!?!? Today is an amazing day of giveaways!! Thank you for the chance! Another day of super prizes. Thanks! Fantastic! Enjoy your holiday CSM! Another amazing set of prizes. Thanks CSM! What a fun prize pack! Love My Colors Card Stock, Scrapbook Adhesives by 3L, Emerald Creek Craft, and Scrapbooking Fanatics! Thank you for participating in this giveaway! WooT! Woot! Lots of loot today!!! Thanks for the chance to win such great prizes! Nice giveaways from great sponsors. Day 7’s gift is what every paper crafter needs: Cardstock, Adhesive, Colouring Pencils, Stamps and Embossing Powder! You’ve kicked it up a notch by having Java aroma embossing powder – so needed especially when crafting late at night! Then there is a new product – still to be released – Baked Texture embossing powder….this is sooo cool! Thanks for all the thought put into pairing the gifts for each day. No wonder you are the Chief Elf! Thank you CSM and your generous sponsors for chance to win some awesome prizes! I’m so excited I just found another Canadian company, and it’s only a few hours from home – road trip! What a fabulous line up of prizes. So thankful for the generosity of these sponsors!